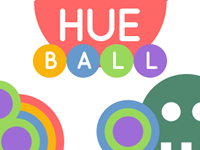 HUE BALL - A colorful arcade game for iOS & Android. 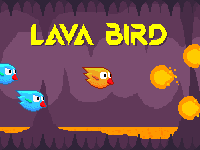 LAVA BIRD - Made for Flappy Jam. Also FREE on iOS & Android. 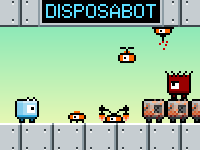 DISPOSABOT - My first "real" game. Sponsored by Gamezhero. creative use of your own corpses. 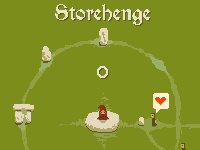 STOREHENGE - Made for Ludum Dare #36, "Ancient Technology." 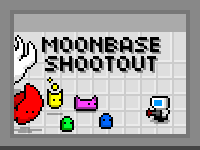 MOONBASE SHOOTOUT - For Ludum Dare #33, "You Are The Monster"
DOOMBA - For Ludum Dare #28, "You Only Get One." Roombas have taken over the world. It is up to you to stop them. 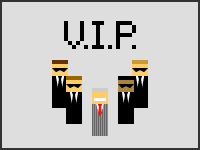 VIP - For Ludum Dare #27, "10 Seconds." 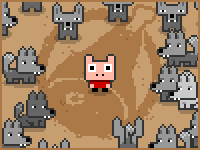 HAMGER GAMES - For Stencyl Game Jam #13. Level With Me is coming very soon, I promise.